After having a bad run on Tuesday, I really wanted today's run to go smoothly. I always feel amazing after I do well on a tough run, and my Tuesday/Thursday runs are speed work. It snowed again yesterday, and the streets are covered, so I had to do the treadmill today. I always worry that the treadmill isn't as good as running outside, even though experience shows me that it makes no difference. A total of 70 minutes--that's only 5 minutes less than my longest run on the schedule! Thankfully, it wasn't TOO cold today (21 degrees). Even with my treadmill being in the garage, the temperature is the same as outside. The only bonus is that there isn't any wind. I ran the first 16 minutes, and then just hoped that I didn't get the muscle spasm during the tempo part. 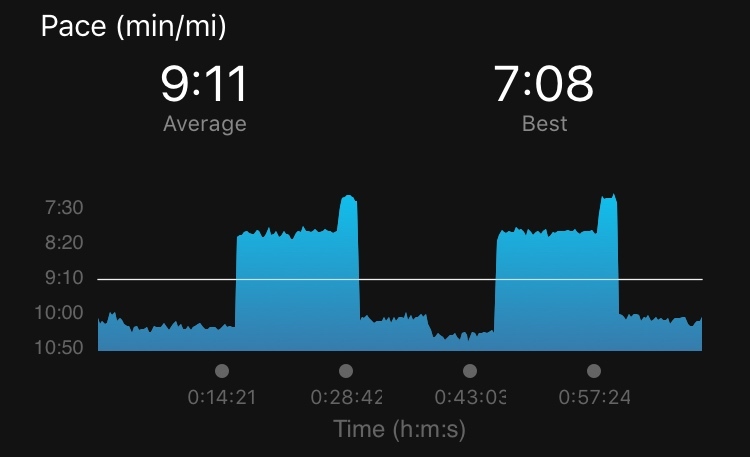 Switching to the 8:20 pace actually felt good, and wasn't very difficult at all. My heart rate was in the tempo zone, which is good. It wasn't "comfortable", like an easy run, but it wasn't torture, either. I felt like I could have run several miles at that pace. After 12 minutes, I bumped the pace to 7:30, and even that didn't feel too bad. It was hard, for sure, but I felt good... especially knowing I only had to hold that pace for two minutes. I switched back to easy pace, and 37 minutes into the workout, I could feel the muscle spasm. It gets really tight, to the point where I can't even stand up straight. I was tempted to call it quits, but the pain wasn't half as bad as it was on Tuesday, so I decided to try to keep running. By the time the easy portion was over, the spasm was nearly gone. I finished out the tempo and hard pace parts, and then ran easy for 10 minutes--70 minutes, run and done! I'm really glad that I stuck it out. I never feel good about myself if I cut a run short (actually, I very rarely even do that). It feels good to find faster paces are starting to feel easier. This training is starting to pay off! Now, I just have 11 weeks to get in shape to PR my 10K. 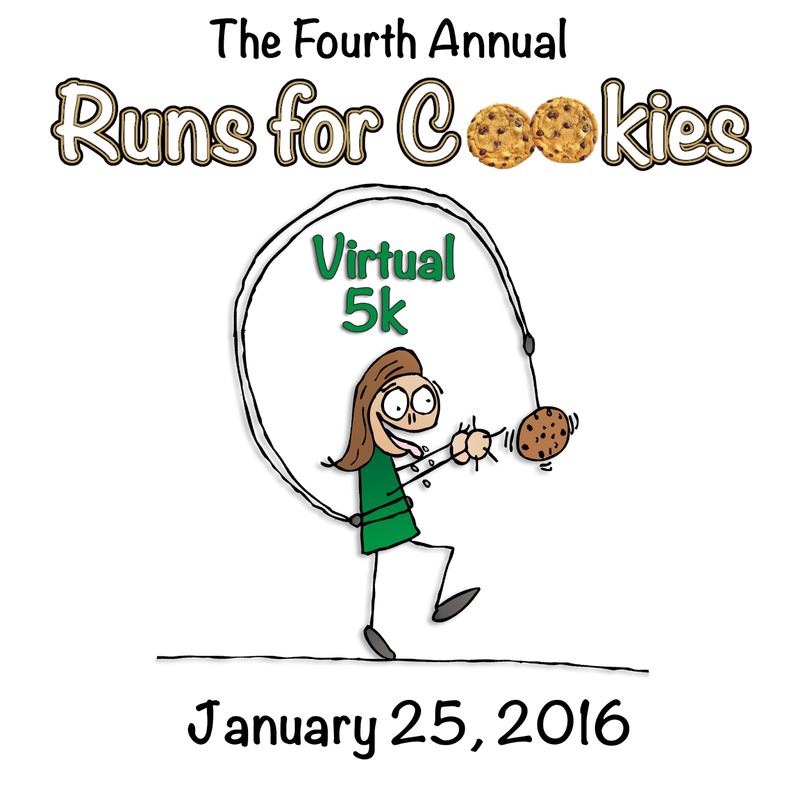 If you haven't already, make sure you check out the Runs for Cookies Virtual 5K details and sign up! You can run or walk, outside or on a treadmill, a track, or whatever else you'd like. It takes place on Monday (my birthday!). I haven't really decided what I'm going to do yet--if I should run it hard or just stick to my running schedule (actually, I'm not even scheduled to run that day). 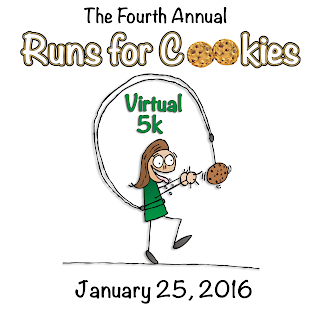 Hi Katie - do you know of any good resources for improving running form? I think I need to work on that next in order to run faster and see you are an rrca certified coach. Thanks for any info you can share! Great job on pushing through the spasm!!!! Hi, Katie. I'm a longtime follower of your blog, which has been incredibly helpful to me. I was wondering whether you could share your running program? I've run for a number of years and have been very interested in your observation that most of us aren't structuring our running workouts properly to gain speed. I was looking at your Thursday running schedule and wondering how you came up with the time and pace allocation. Anything you feel able to share would be greatly appreciated -- and kudos for making it through 70(!) minutes!